You have all heard it before, “Eat your veggies.” The reasons being given are usually for the vitamins that vegetables contain. But there is so much more to it than that! 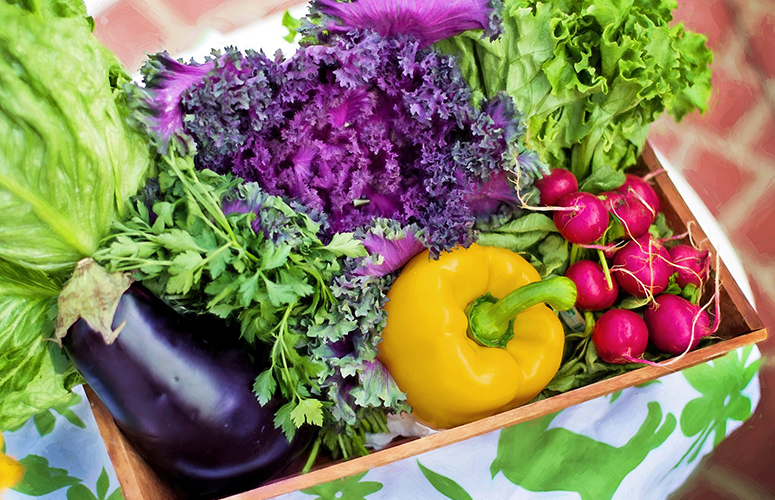 Read on to see how eating your vegetables influences your skin. Let’s start with what your skin really is. Your skin is an organ. And, as I tell patients, it is your largest organ for detoxification. Your internal environment, called the Microbiome, creates your external environment, your skin. If you have a health problem your body which is always trying to create homeostasis, balance, will continually be trying to eliminate that health problem. The routes for elimination are, sorry this is a little graphic, either through the mouth, through the opposite end, through the lymph system or through the skin. The foods you eat create your Microbiome, internal environment. If you have a healthy internal environment, it reflects in radiant clear skin. If your diet contains a lot of processed foods and sugar, your internal environment will most likely house unhealthy pathogenic bacteria and possibly fungus. These unhealthy organisms can live in people’s body’s for decades and be the catalyst for an array of diseases. The longer these pathogenic organisms are in your body, the more they will cause congestion in your lymph system, overburden your lymph system, and that is when people experience problems on their skin. Vegetables create a healthy Microbiome. Eating vegetables provides your body with healthy bacteria, yes, we actually get healthy bacteria from vegetables that then take up residence in our intestines and thrive when vegetables are a consistent factor. Vegetables will create a pH that is more alkaline, as opposed to acidic. Many pathogenic bacteria thrive in an acidic environment, and most diseases are also the result of an acidic environment. Processed foods and sugar promote an acidic environment. Flavonoids, a family of 500-1,000 different compounds is found in spinach, carrots, tomatoes and fruits. Flavonoids are cellular protectants, protect DNA and are anti-inflammatory. Lutein which is found in green leafy vegetables like kale, collard greens,and turnip greens, helps reduce the propensity toward wrinkles. Carotenoids are found in yellow, orange and red vegetables and fruits and the dark green leafy vegetables. Bell peppers, carrots, butternut squash, acorn squash, broccoli, Swiss chard, mustard greens and kale. Even when eaten regularly the high levels of carotenoids your body gets will help reduce sun damage to your skin. People with a lot of oxidative stress, like smokers, have a reduced level of carotenoids and have a higher risk of skin cancer. Lycopene is a type of carotenoid, most people recognize it as being in tomatoes. Lycopene has some anti-cancer effects, and like carotenoids, regularly eating foods high in lycopene can help reduce risk of skin cancer. Lycopene can keep your skin soft. Studies have shown that people with higher levels of lycopene have softer skin. Vegetables are your best source of anti-oxidants. Anti-oxidants get rid of damaging, and age-promoting, free-radicals. We all produce free-radicals, it is a product of cellular metabolism. But you will have more free-radicals if your diet is high in processed foods, sugar, and if you live in a city with lots of pollution or if you smoke. Every vegetable is loaded with anti-oxidants that are helpful to every cell in your body. If you are consuming several servings of vegetables every day, you will be constantly supplying your body with anti-oxidants which will help every cell in your body to eliminate waste products, free-radicals, and it will reflect on your skin. By eating a diet high in vegetables your skin will be healthy and vibrant and your skin will age better. Using products that have have plant ingredients, such as Sonage products, is very beneficial to your skin since we do absorb ingredients through our skin. All the phytonutrients in the Sonage products have the same anti-oxidant, skin rejuvenating, wrinkle lessening effects when applied to your skin. So here is your win-win situation. Eat several servings of vegetables each day and use good-for-your-skin natural products. Your skin will look great! 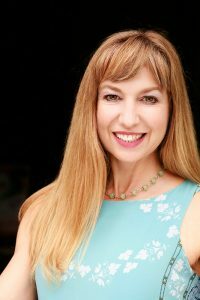 Ahnjel Ali is a licensed Acupuncturist/Herbalist in Los Angeles since 1993. 20 years of clinical experience is behind her development of Full Body 30 Day Vegan Cleanse. As an Acupuncturist Ahnjel sees life as the continual shifts between Yin and Yang, and strives to teach her patients balance.